England & Wales Census 1841. Recorded in the England & Wales Census 1841. Andrew aged 13 was living in Birkett Street, Soho, Liverpool with his father - aged 44 years. Who was as Ester ? Who did the children belong to? 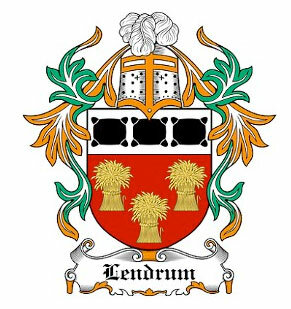 Andrew Lendrum was recorded as living in Birkett Street, with his son Andrew. 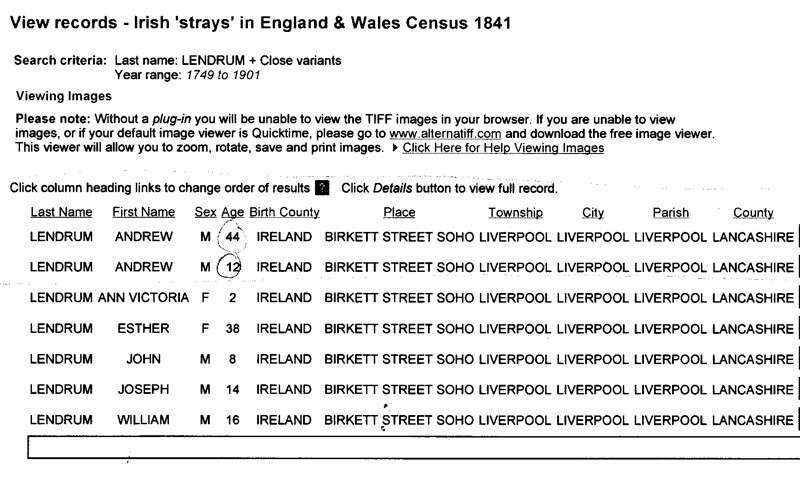 It could be assumed that they were working in Liverpool at the time of the 1841 census and staying with relatives in Birkett St.
Then return to Mullaghmore later. 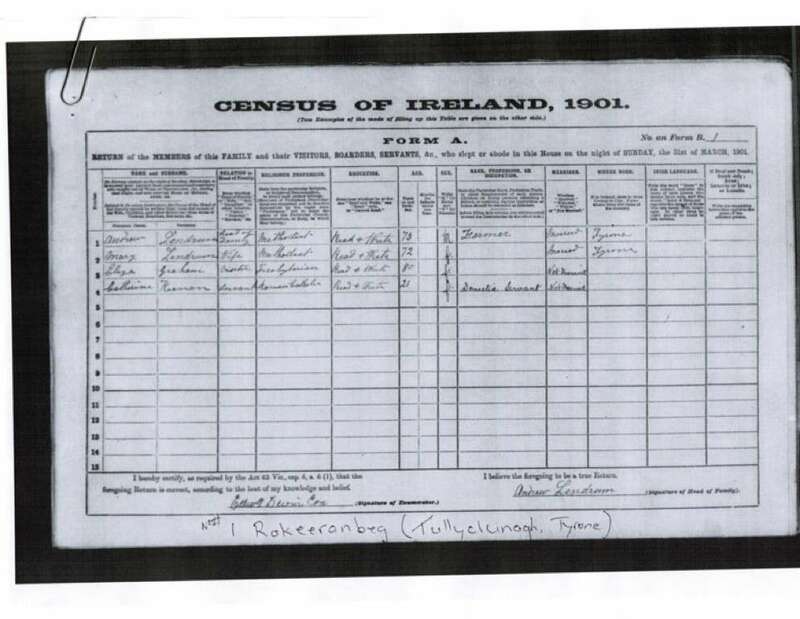 Mrs. Lendrum (senior) was still in Mullaghmore, looking after Robert. Martha - not born at this date. George - not born at this date.